Addis Ababa (HAN) May 3, 2014 – According to HAN & Geeska Afrika Online reporter in Addis Ababa, Ethiopian Foreign Minister, Dr.Tedros Adhanom held discussions with the Minister of International Development of Finland, Pekka Haavisto on Friday. 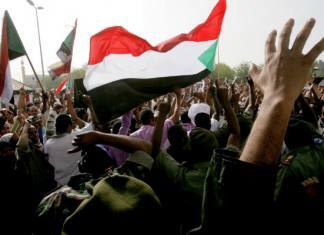 The discussions covered regional matters, emphasizing on the current situation in South Sudan. 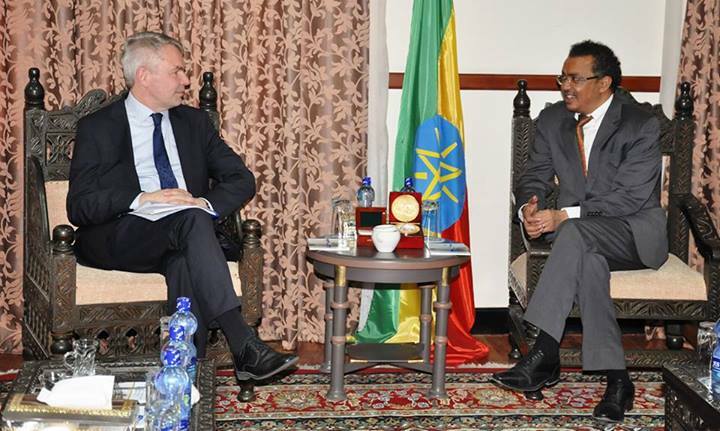 Foreign Minister Dr. Tedros briefed extensively Mr. Haavisto on the ongoing crisis in South Sudan. He noted that IGAD is working towards finding a lasting peace South Sudan and end violence. Dr Tedros appreciated the continued support of Finnish government to IGAD and to the ongoing peace process, further adding that IGAD is expediting the process of the deployment of the Prevention and Deterrent Force (PDF) with a mandate of peace making. On his part, Mr. Haavisto noted that Ethiopia is playing a crucial role on regional issues and commended Ethiopia’s effort to stabilize the region. With regards to the ongoing construction of Grand Ethiopian Renaissance Dam (GERD), Foreign Minister, Dr Tedros reiterated Ethiopia’s approach which is mainly based on the principles: a win-win approach, equitable and reasonable utilization, no significant harm and genuine cooperation. the Minister of International Development of Finland, Pekka Haavisto underlined that Ethiopia has repeatedly assured Egypt that the GERD will be used for power generation purposes in a way that takes into account Egypt’s concerns but advances the developmental interests of Ethiopia. 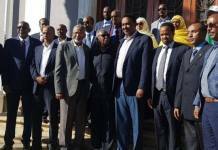 Meanwhile Sout Sudan Crisis: Direct talks between the two sides in South Sudan restarted on Thursday in Addis Ababa with implementation of the cessation of hostilities agreement and a possible interim government at the top of the agenda. 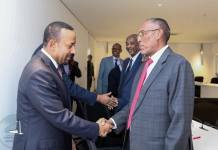 The Head of IGAD’s Special Envoys, Seyoum Mesfin, said negotiations between the government and rebels would focus on implementing a January 23 truce that hasn’t held, as well as details of a transitional government. 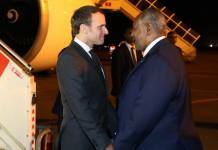 Envoys from IGAD states have told both the South Sudan Government and the SPLM-in-Opposition that there can be no more “talks about talks.” The IGAD Special Envoy said “We want the parties to focus and pin themselves down to substantive negotiations.” In the last three weeks, while the talks have been adjourned, the IGAD Envoys have talked to the leaders on both side as well as held discussions with the IGAD Heads of State and Government to encourage support for fast-tracking the negotiation process, for the mediation process and for the IGAD Monitoring and Verification Mechanism which has now started work in South Sudan.